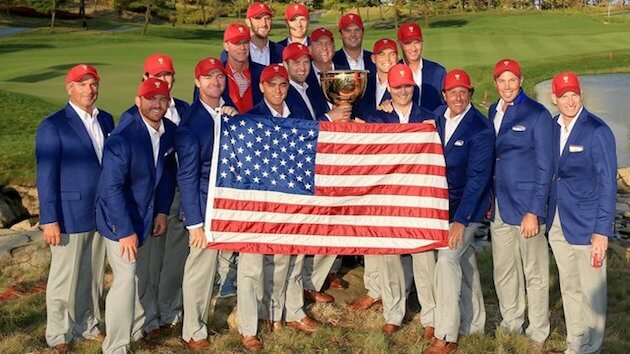 The U.S. have retained the Presidents Cup with a 15.5 – 14.5 victory over the Internationals. It was compelling viewing throughout the afternoon’s play, ultimately it came down to the final match and local favorite Sang-Moon Bae to try to reverse the United State’s strangle hold on the Trophy. After a couple of gutsy up-and-down’s on the 16th and 17th from Bae his match with the captains son, Bill Haas was left at 1 hole in favor of the American with a tie the best overall result possible for the Internationals. Unfortunately for Sang-Moon Bae a poor pitch shot at the 18th resulted in a concession of the hole and a fairy tale finish for the Haas’s after Bill was given the ultimate responsibility of playing the final match by his father, Jay. 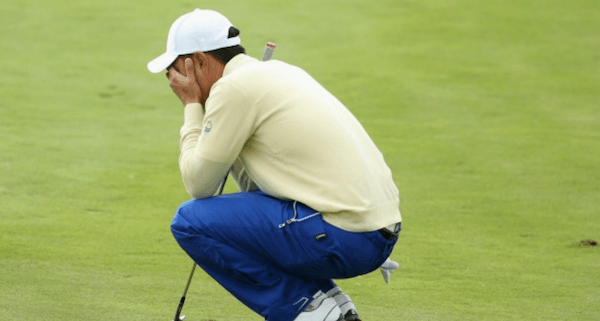 It was a spirited performance from the Internationals and although we didn’t get to see the Spieth Vs Day showdown there were some incredible matches, none more exciting than the Reed and Oosthuizen contest. A superb eagle on the last and a rare show of emotion from Louis, the match was halved. Highlights of a dramatic final days play. Rickie Fowler claims Scottish Open win.